The car finally slowed down to 80s as I took the exit to Khandala on the Mumbai-Pune Expressway. 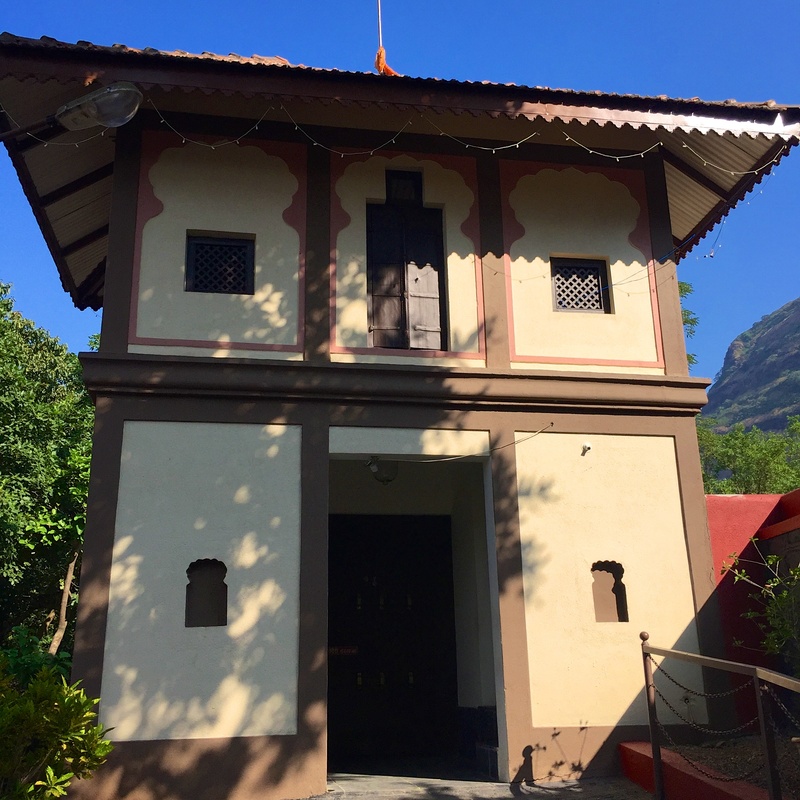 We were heading to Dhepewada – a house built according to the traditional designs of old huge houses in Maharashtra, a history rich state in India – to attend a marriage. It was located on Girivan Hills, a scenic mountain range near Pune. The drive there was not what a driver would say smooth as silk but most certainly was scenic. 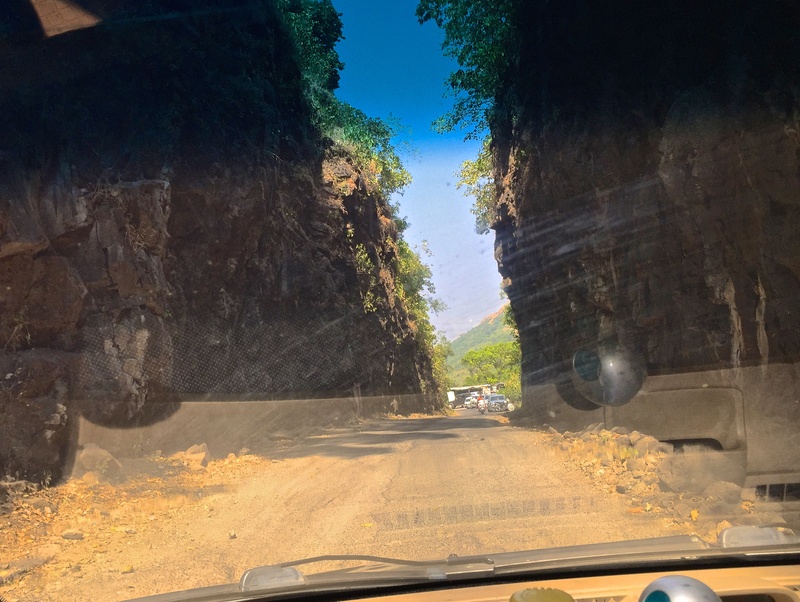 We passed via huge Pavna and Mulshi Dam Reservoirs, curved roads through the pastures, cattle on the road and rows of luxury houses with the view of the Valley and the Lake and the mountains surrounding it. The place has the lusty aura like that of a mistress who woos you to leave everything and indulge in her. We couldn’t stop and really indulge in it since we had to reach the ceremony on time. The last part of the journey was a ghat. The road was just like how a bowling alley wouldn’t be. With steep 180-degree turns the drive was a challenge even for seasoned drivers. It took us back in time & reminded us of stories of bravery told by our forefathers about the warriors of the prosperous Maratha Empire, who with their chariots rode on these perilous roads. So after 20 minutes of whirling journey through the mountains we finally reached the destination. This place was like no other we have seen. As we approached, the air suddenly gleamed with the energetic and high-pitched sound of the “Tutari” – a traditional wind instrument to make announcements of arrival of lords in the olden times. Just behind the person playing it there is huge main door called “Mahadvar”. It is a multifunctional structure, a small window on the side serves as an intercom of the ancient time, a room on the top had people in it playing musical instruments to welcome the guests and also to notify the people in the main building inside. So the elders of the house can assemble in the Guest room in their royal demeanor in time. 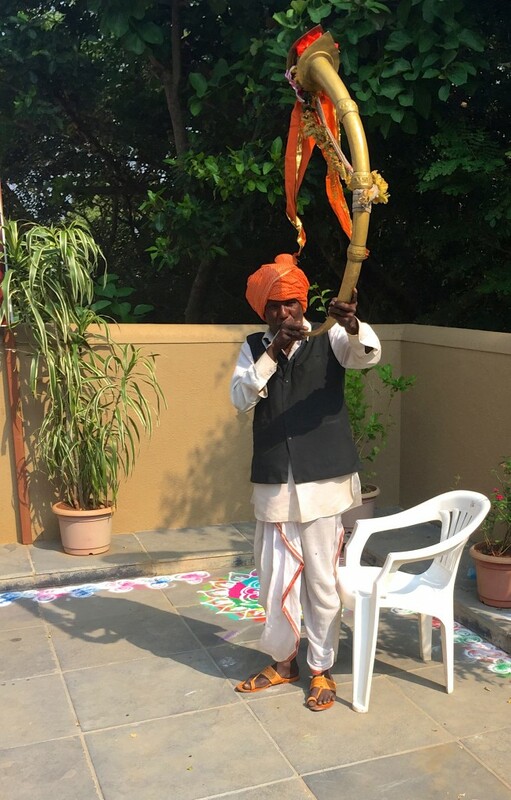 As we entered the host greeted us, with a ‘Tika’ for the men and the traditional nose ring ‘Nath’ and ‘gajras’ made of fragrant Mogra flowers for the ladies. The laughter and faces of long lost relatives beaming with huge smiles filled the atmosphere with a pleasant vibe. We entered how we enter a new place, ‘we are happy to see the relatives but also we are intrigued by the location’ and our attention is diverted at two things. Such was this place. Traditional design oozed from each and every corner of the house. The main house is a huge structure, designed such that it gave all the elderlies an overwhelming feeling of nostalgia and awe. My grandpa immediately came to me and said “This is very much like the house I grew up in”, he cut off in the middle and kept looking at the house with a look of a small kid like he was flooded with so many thoughts that he couldn’t find one specific thing to say. 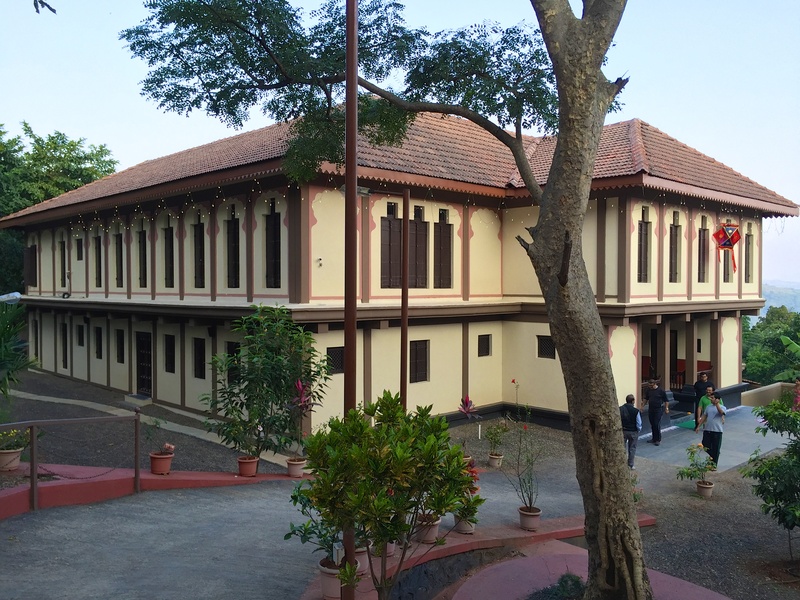 Opposite to the main building is the courtyard, lined with various floral plants like mogra, chafa, jui, sonchafa, hibiscus, jhendu, shevanti, chameli, parijat. This gave the place a colorful attire and a fragrant aura. 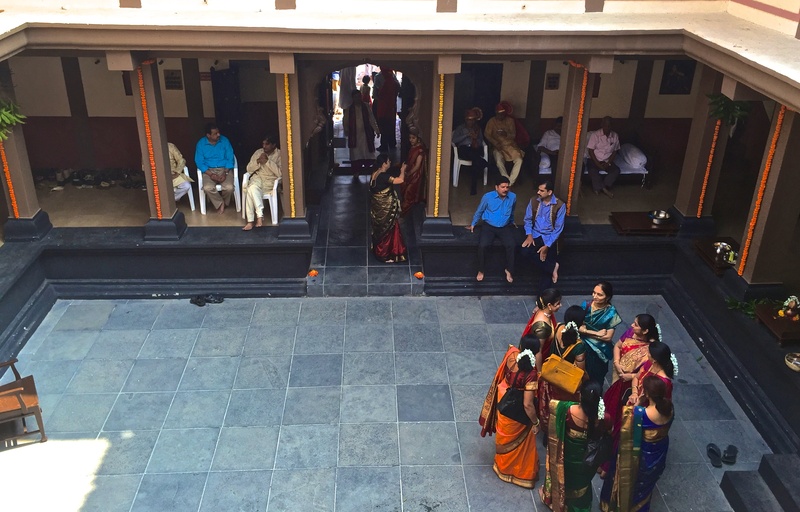 The courtyard is big enough to house a pandal’s tents and a stage to host functions like this marriage. The house has a grand door; entering which we can see a squared common area; it is surrounded with rooms on three sides and main entrance on one. 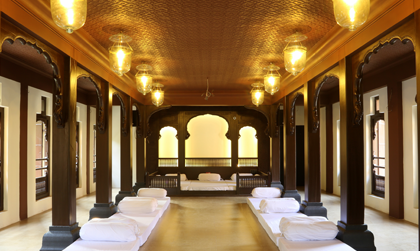 Due to this design the Acoustics of the place are extremely comforting; as soon as we enter we are wrapped in the cozy blanket of homely feelings, like the gentle placing of a mother’s palm on her child’s ears to comfort him. When we stand in the square to feel the open sky above us giving ample light, we do feel that we are protected inside the walls of our house. I was really taken away by all this. This area is symbolic of the joint family culture, which was dominant in the olden days. The entire house was built with the thought to keep more of common areas rather than private areas, this really provided for constant interaction and communication. 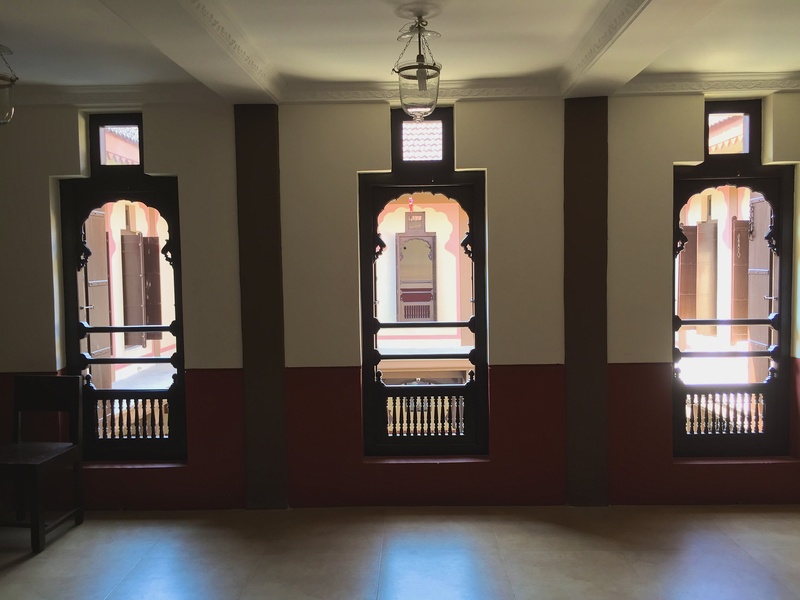 The house has another floor, a part of which is rooms and the other, a “Diwanghar” – something like a small court of the Lord in the house. Most meetings and gatherings used to take place in this huge room. There are windows on the first floor opening into the common square from all four sides. It helped the mothers to keep an eye on their kids who were playing in the square. To the left there is a kitchen room with all the old utensils, instruments and vessels. In today’s date as the need for private space increased the culture of joint family diminished and along with that such architecture lost its relevance. And the spirit of one big true family is also lost with it. We moved to our rooms and like it happens in every marriage, ladies occupy all the rooms. So the men have no place to comfortably dress up or for the matter of fact are always scared to open any door. On the way to search a room I kept meeting aunts, uncles, brothers of my grandpa and one really intimidating fellow that we always find in every wedding (turns out he is always the bride’s father :p ). We eventually managed to get in the Pandit’s room and got out all dressed and ready to meet all the relatives. Bring it on!